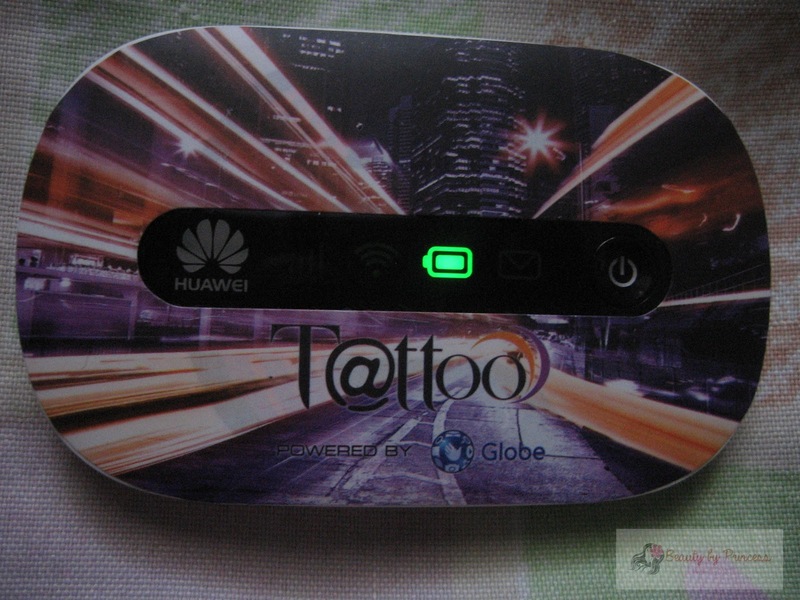 So here is my review on Globe Tattoo 4G Mobile Wifi based on my personal experience. 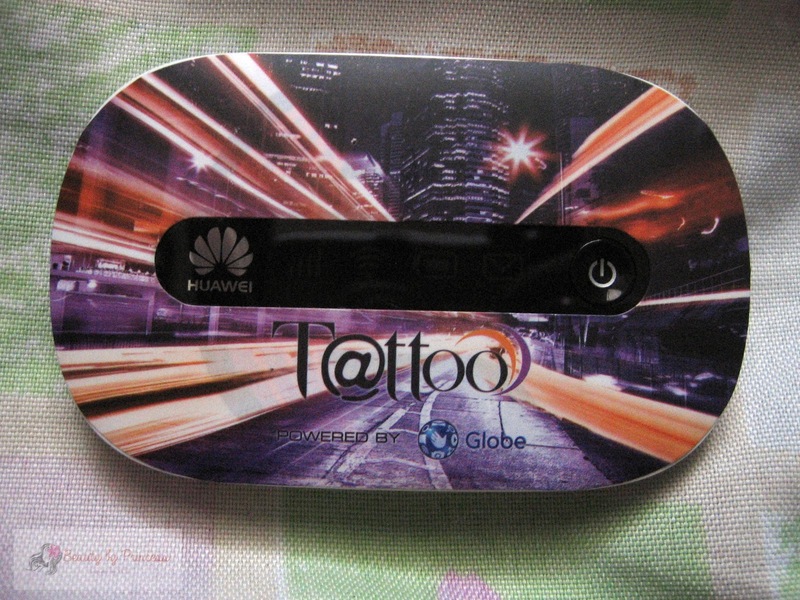 I bought it for 1,999 pesos same as the price of Smart and Suncellular pocket wifi. It has one year warranty. 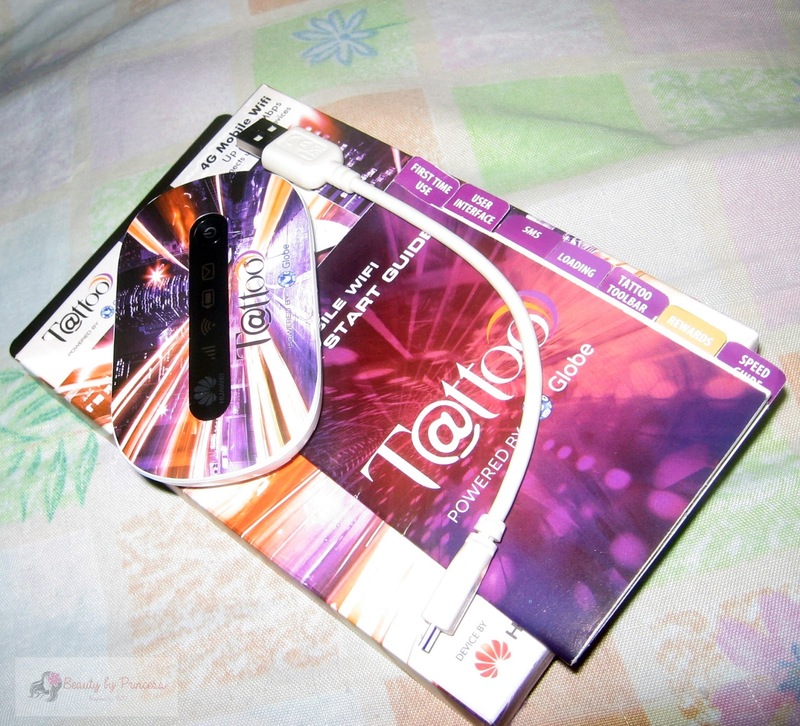 The box includes: Pocket Wifi, Battery, Sim card, Connector and Start-up manual guide. 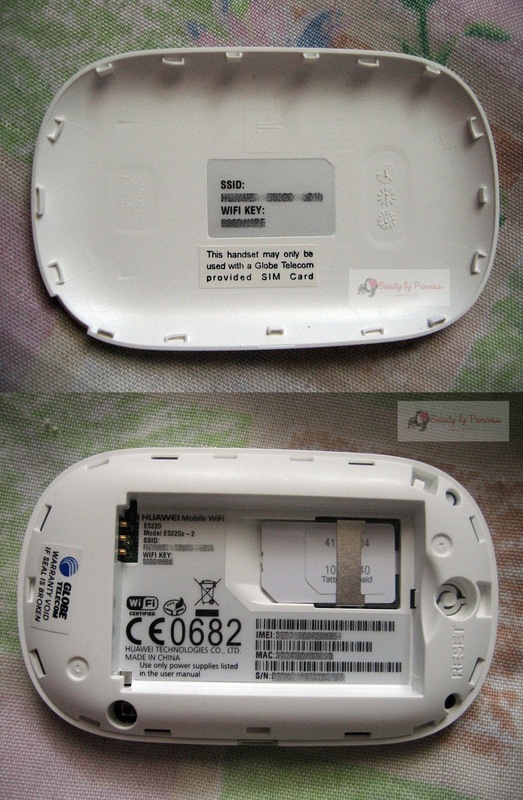 Pocket Wifi. It is lightweight made of plastic materials easily heated by the battery. 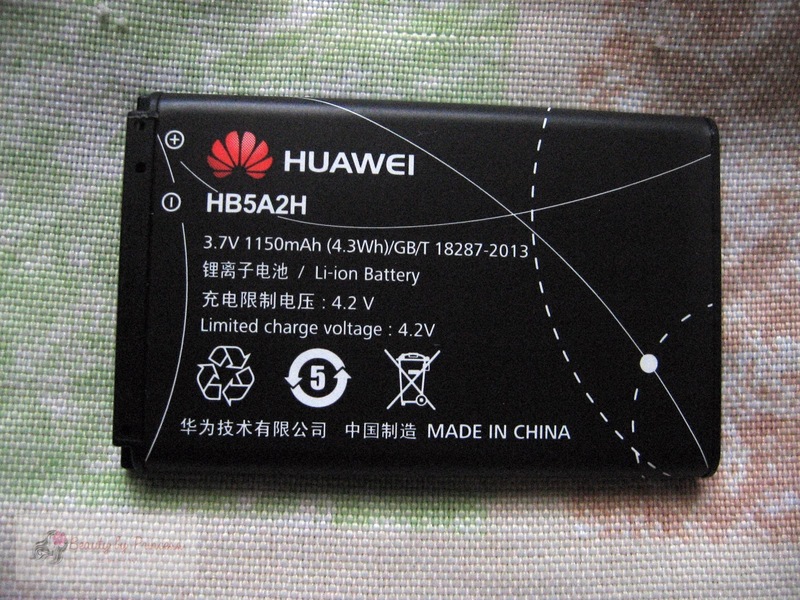 Easy to use, just put the loaded and registered simcard then, plug in the battery. Long press the button and you're ready to connect! 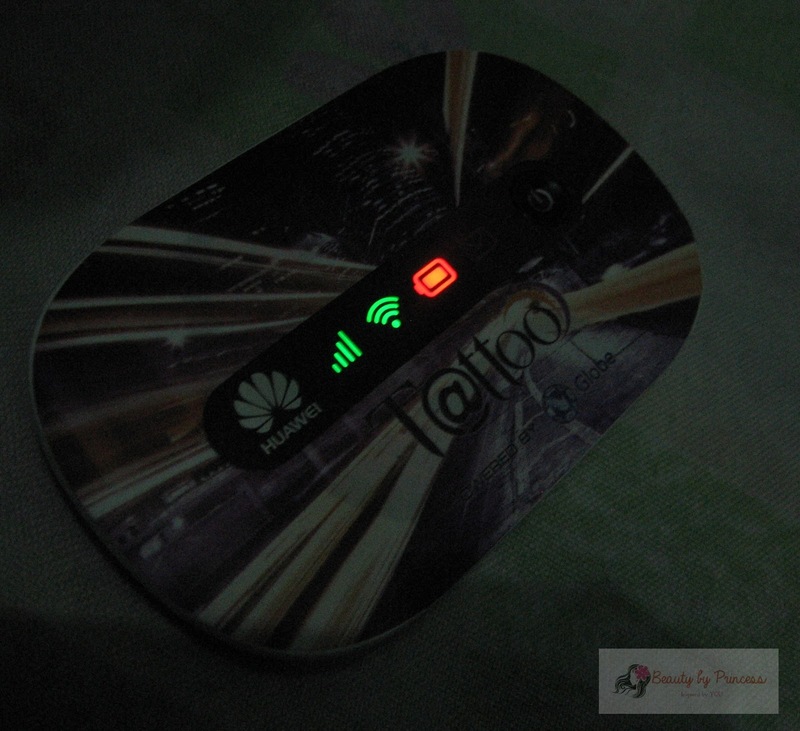 After few minutes, the signal, wifi and message light will automatically turn off and only the charge indicator will appear. It is the default mode maybe for less battery consumption. Just press the power button once and the other light indicator will light up again. When lowbatt. As I said, it is easily heat up and lowbatt. Next thing you know, you have no connection already so always bring your charger with you. Simcard. 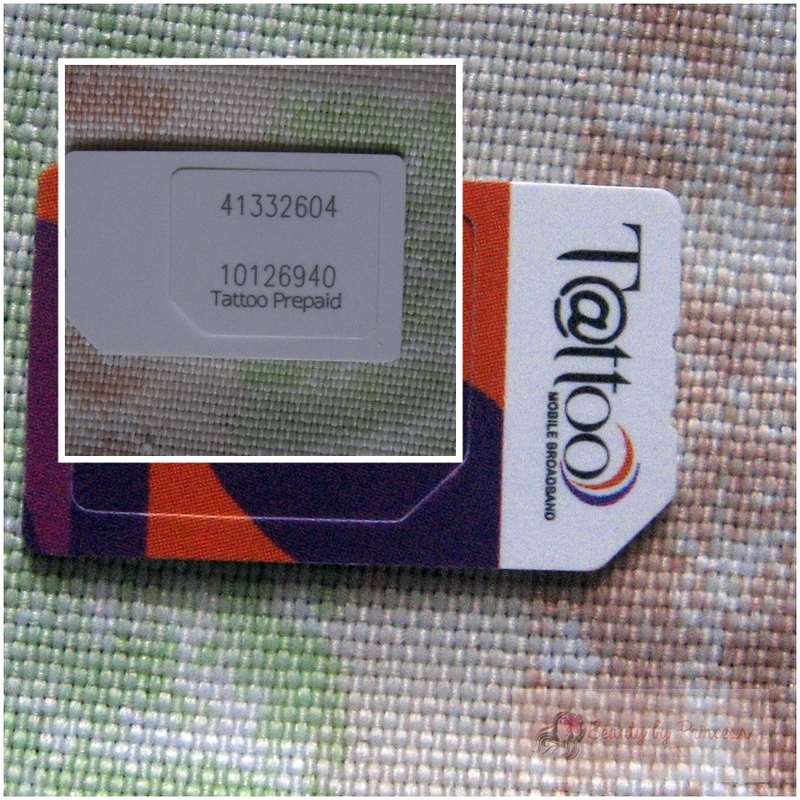 It can be the big simcard or you can make use of the nano card (if you intend to put this on your cellular phone). 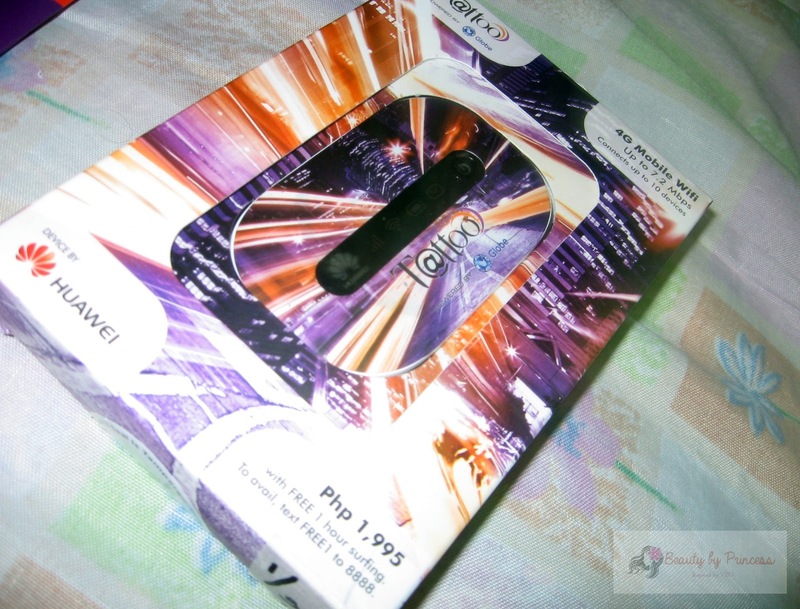 It is preloaded of P 5.00 after purchasing. You can load it up P 50.00 and you can register now to SUPERSURF 50 for 1 day unlimited browsing. 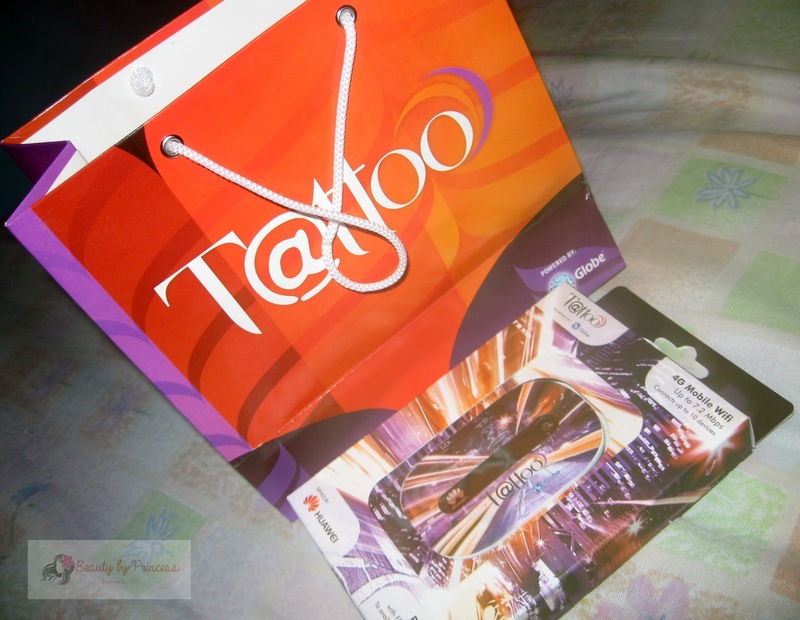 You need to always have P 5.00 minimum to your balance in order to avail SUPERSURF promos. Visit http://www.globe.com.ph/ for promos and other important information. Battery and Connector. The thing I'm concerned is that it doesn't come with the plug in charger. You have to purchase it separately on Globe outlets (I dont know how much). 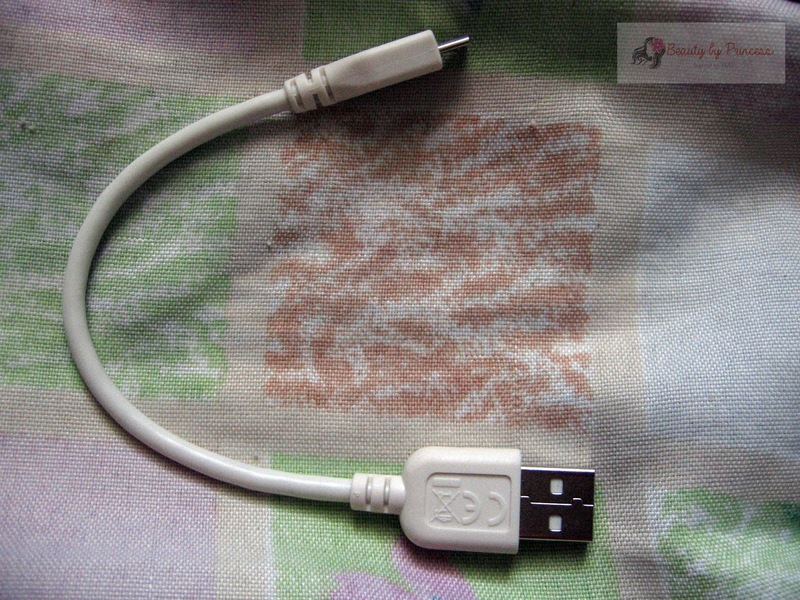 Instead, you can charge it using the cable connector using your PC or just buy a plug-in charger of choice ( I tried to charge it with my Samsung charger and it works!). Another thing, this Globe Tattoo is a perfect handy if the battery last longer because as I observed it doesn't last long if continued use. So if not in use, better turn it off! to save energy. Based on my experience, I don't like it when it disconnect me automatically and also it turns off automatically only few hours of browsing because the modem already heated up. The speed is inconsistent even if they say it is based on the signal strength. Yes, even the full strength color green signal will not guarantee you good speed. It is sometimes okay and sometimes not. I hate super slow loading time or doesn't load at all even if the connection is intact there is no internet connection. What is this Globe? I really don't expect much on the this product but atleast give me the connection I needed! When I brought it to Caramoan, the signal in our house there is very good and I was impressed that really it is based on the areas you are in or how many globe connection you shared in the neighborhood. But still, when I'm back home in Laguna (specifically Sta. Rosa) the signal is low and the loading time is very slow. Argh! That's it! # Easily heated up modem that automatically disconnect you to internet. Good day. Thanks for your informative post. I'm thinking of buying one since they have a promo until end of 2014. It's now priced at 1,500.
you forgot to mention the speed. it says 4g mobile right? does it mean it is LTE ready? I'm not sure but when I connect it says only 3G. you may also make it openline so you can use any simcard (globe, smart , sun etc) in it then,, just visit your nearest cel tech shop. thanks. 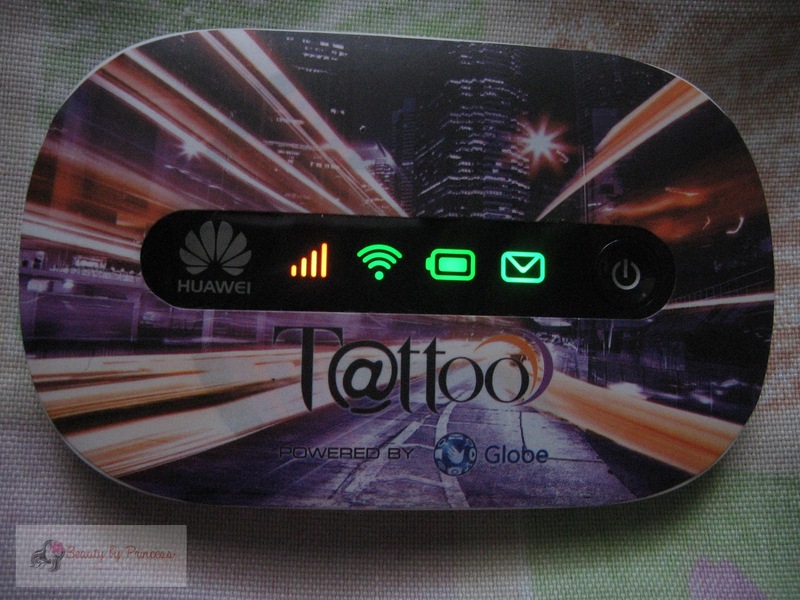 I've had my own Globe pocket Wifi before. It really wasn't helpful and was as bad as not having Wifi. I still prefer coffee shops with stable Internet access! 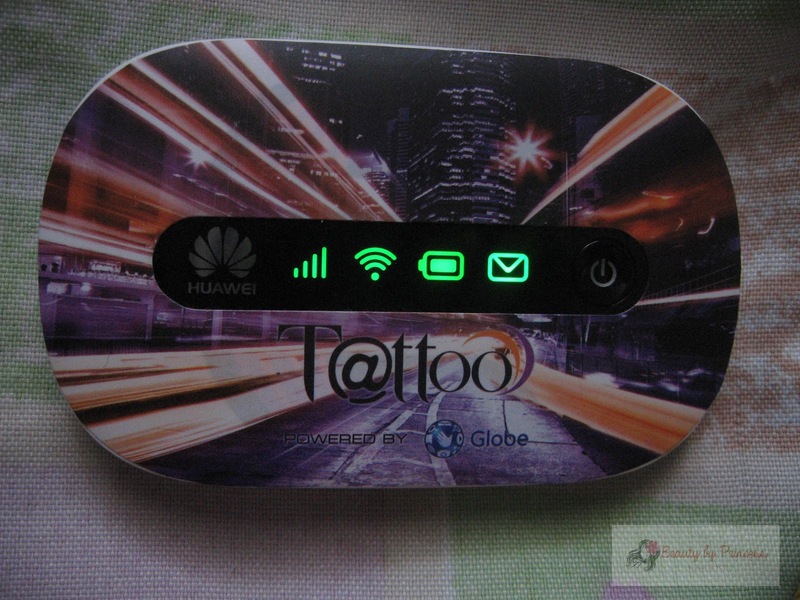 hey if I use this pocketwifi ,is it good for researching in google and watching youtube videos ?